For a big city, Las Vegas doesn’t seem to have an abundance of community events, so my husband and I were excited to go with some friends to the inaugural Blues & Brew Festival at the Springs Preserve this afternoon & evening. For $25 admission per person ($30 at the door), one received a 12-ounce plastic mug, unlimited beer samples from 20+ microbreweries, and got to listen to 6 different bands perform. 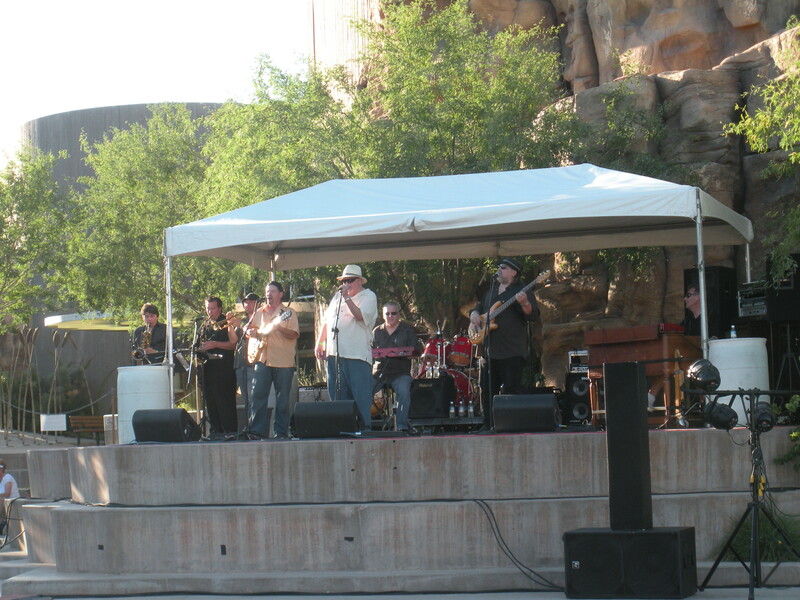 Despite abnormally high temperatures for this time of year (nearly 110 degrees), the festival had a great turnout. Because of the enormity of the Springs Preserve property, the brewery tents were spread out throughout the garden and one didn’t feel too crowded. Band performances alternated between 2 stages and food was available for purchase from the Spring’s Preserve on-site caterer, Wolfgang Puck. Thirsty festival-goers line up for samples at the Joseph James Brewing Tent, a Henderson, NV-based brewing company. Sadly, many of the beer samples we tried tasted like ! @$#@*, and we were so ambitious to try all of them that we missed a lot of the music. Just three of the breweries/distributors we sampled were above-average good – BMC Fine Spirits, Grand Canyon Brewing , and Joseph James Brewing. BMC Fine Spirits distributes foreign brews in the Las Vegas valley and had some tasty Belgian beers to sample. Grand Canyon Brewing is based in Arizona, and Joseph James Brewing is a local outfit whose beer can be found at the Freakin’ Frog bar across from UNLV, among other places. On the music side of things, the best act we saw was the talented singer Jeneane Marie backed up by a full band including saxophone player. The Cordle-Scott Band performs on the main stage. Rumor has it that there will be more alcohol & music combo events at the Springs Preserve later on this summer – there’s a hint of a possible wine tasting event. 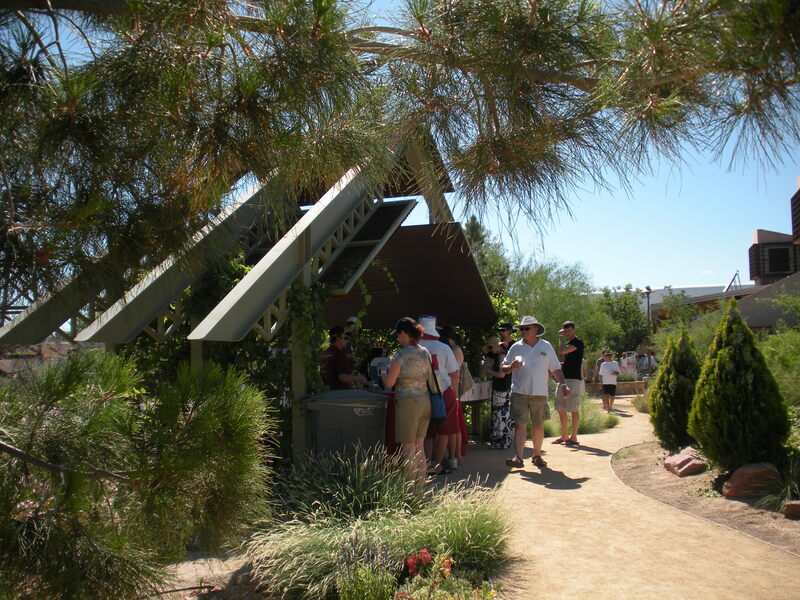 With the beautiful desert garden backdrop, interesting nooks to explore, and a sense of community in a town that sometimes can feel so cold and unfriendly, I’m definitely on board for more of these. This entry was posted in Las Vegas and tagged beer festivals, Las Vegas, microbreweries, music festivals, Springs Preserve. Bookmark the permalink.